Every so often questions or comments come to me that I think everyone might be interested in learning the answer to. Then I address them here on the blog. Today is one of those days. I look at that mess of blocks and I don’t feel inspired at all. Nothing can inspire me to work on the quilt except the calendar and my commitment to finishing it. Right now, I’m planning to give mine away for the Fireman’s Breakfast…so knowing me, I’ll finish it by January 1st-sih as that was my commitment then I’ll throw it in the “to be quilted” pile and it will sit there until the last week in February when I say “OH CRAP..the breakfast is next week”…then I’ll finish it. That’s the “real” side of me. That’s the reality of the Block of the Month quilt…. The reality of the mystery….I don’t think I’m doing it this year. I think I’m burned out of sewing things I “have to sew”. I’ve been busy and working all year to complete things with deadlines. Many of them are self imposed deadlines but they are deadlines still the same. I made the Block of the Month commitment. I’m glad I did…but still it was a commitment. Kelli and I have had several quilts published this year in magazines….Commitments. 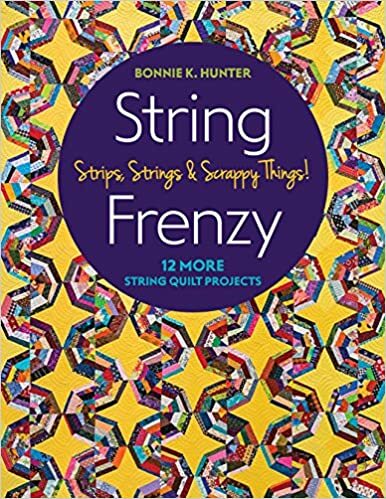 I made the commitment of trying to finish all of the quilts in Bonnie Hunter’s String Fling book…It was a self imposed commitment, but still another commitment. I look at my sewing room. I look at what I really want to do…what do I really want completed…a mystery quilt doesn’t enter the list at all!! I want to finish quilting ALL of my quilts in my pile of quilts that aren’t finished. I want to learn to do a pantograph design. I want to catch up on charity quilts. I want to sew some of my own projects. I want to play with my vintage machines. I want to treadle. I want to get back in touch with my stuff. So long I’ve been shoving things aside so that something could get finished. It’s time I gave my sewing room some attention. 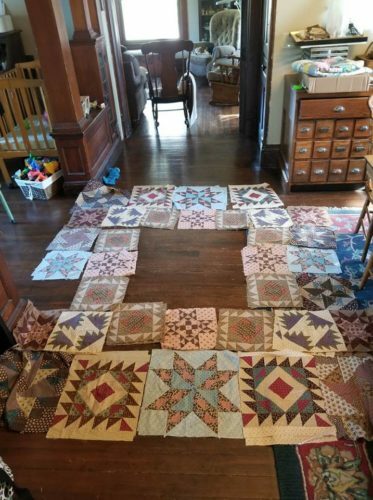 Right now I would so much rather make one of the new quilts that Bonnie Hunter will have her new book rather than the mystery quilt. The other day I was digging for something and saw this….It’s my Hawaiian Sunset UFO. Oh..I love this quilt. I really want to make it. I’ve had it in and out many times but something ALWAYS gets in the way. If I would not do the mystery, I could take the mystery time and finally make this quilt. That sounds so good to me. SO GOOD…. So as of now…no mystery for me. I might make one or two of each step and print the directions. If I end up loving it, great. I can make the whole quilt. If I don’t, no big deal. I talked with my friend Connie and she is leaning a bit towards no mystery too….We’ll see, the peer pressure just might make us both cave. Are you doing the mystery? Inquiring minds want to know.